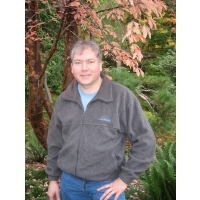 2008-); and founder/director of the Seabeck Haiku Retreat (2008-). Awards and Other Honors: Grand Prize Winner ("Special Award") in Basho 360th Anniversary Haiku Contest (Japan, 2004); First prize awards in many contests, some of which include the Harold G. Henderson Memorial Award, the Gerald Brady Memorial Award, and the Tokutomi, Drevniok, and Haiku Poets of Northern California contests. Welch is also a recipient of the Museum of Haiku Literature Award and Merit Book Awards from the Haiku Society of America. four poets included; haiku] (San Francisco: Two Autumns Press, 2009). Credits: "meteor shower" - First Prize, Harold G. Henderson Memorial Award [Haiku Society of America] (2000), Frogpond 24:1 (2001); "a few pines" - Honorable Mention, Kaji Aso Haiku Contest (2001); "first star" - Grand Prize Winner ("Special Award") in Basho 360th Anniversary Haiku Contest (Japan, 2004); "spring breeze" - Woodnotes 19 (1993); "toll booth lit for Christmas" - Second Prize, Harold G. Henderson Memorial Award [Haiku Society of America] (1995), Frogpond 18:4 (1995); "Valentine's Day" - Honorable Mention, the Gerald Brady Memorial Award [Haiku Society of America] (2000), Haiku Society of America Newsletter 15:4 (2000), Frogpond 24:1 (2001).